Revolv users may get “compensation” as they try to get their smart homes working again. Nest has responded to claims that it’s stranding users of Revolv smart home hubs, which will cease to function next month. Revolv, whose hub can control a wide range of other connected home products, was acquired by Nest in 2014. Nest immediately discontinued the product, but at the time promised existing customers that their hubs would still work. 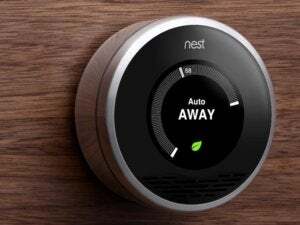 In recent months, however, Nest changed its tune, and began notifying customers that their hubs and companion app would stop working on May 15. The impending cutoff gained wider attention last week when Arlo Gilbert, the CEO of Televero and a Revolv user, described how his entire smart home would soon be rendered useless. Speaking to The Verge, a Nest representative said the company has been helping affected customers all along. “We’ve been working with the small number of Revolv customers on a case-by-case basis since we sent out the first customer notification in February to determine the best resolution, including compensation,” Nest said. Oddly enough, Gilbert wrote that he was never notified about the upcoming shutdown. It’s also unclear if Nest’s “compensation” amounts to the full $300 that Revolv users originally paid for their hubs, or just enough money to buy an alternative solution, such as Samsung’s $99 SmartThings Hub. The story behind the story: This whole ordeal couldn’t have come at a worse time for Nest. Last month, The Information dropped a bombshell of a piece about Nest’s internal struggles, describing executive clashes, an exodus of talent, and failure to ship new products. Meanwhile, Google (which effectively owns Nest through parent company Alphabet) has been pushing ahead with its own smartphone platform, along with consumer products such as the OnHub router and a rumored Amazon Echo rival. Google is notorious for A/B testing products on a massive scale, and if its own smart home efforts prevail, the situation with Revolv raises serious questions about what might happen to Nest users down the road.